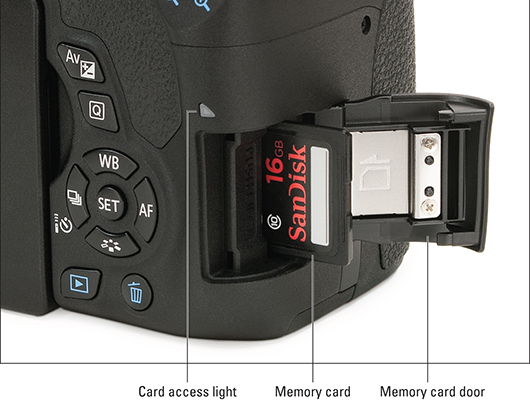 All dSLRs share a number of common design elements. 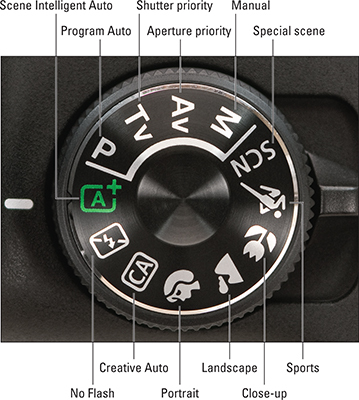 For example, the grip is always on the right side. 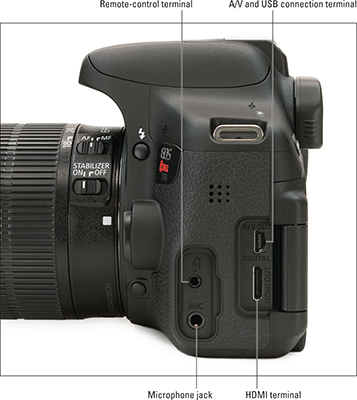 All have an LCD monitor on the back and a viewfinder that you look through. 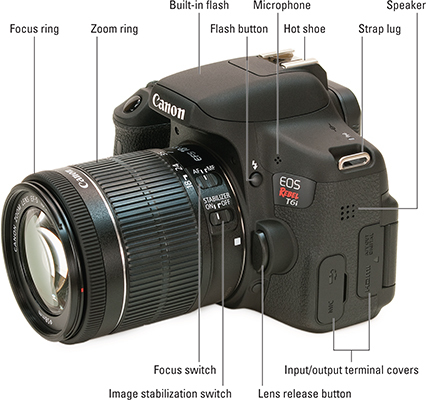 After learning a little bit about them, you should be able to pick up any dSLR without being totally intimidated. 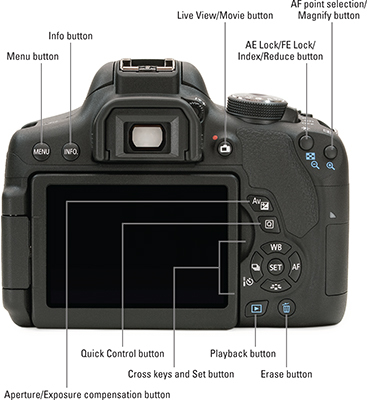 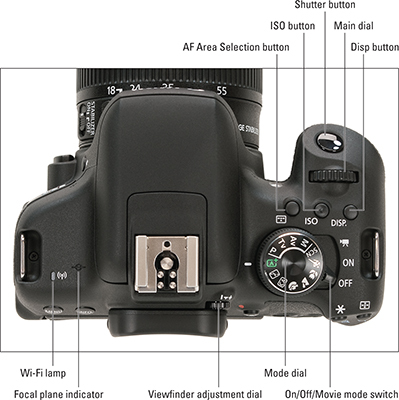 The following illustrations of a typical consumer-level model dSLR from Canon show you the basic parts of most dSLRs.